Solar Archives - Solar Love! Home Tags Posts tagged with "Solar"
Would you rather be a coal miner, or a solar power technician? Bad news if you answered (correctly) that life would be much better for you as a solar power tech. Because if Trump has his way, those jobs are going to be nuked (and frankly, he’s not going to be creating a million jobs down the bottom of a coal shaft. That ship has sailed). Renewable energy is becoming a major engine for U.S. employment: In recent years, jobs in solar and wind energy are growing about 12 times faster than the rest of the U.S. economy, according to a new report from the Environmental Defense Fund. The report also found that these difficult-to-outsource jobs pay about $5,000 more than the national median wage. Study authors arrived at their findings by examining a combination of data from the International Renewable Energy Agency, the Bureau of Labor Statistics and the Department of Energy. Many of the jobs are easy to train for, too: Trade groups, like nonprofit Solar Energy International, offer accreditations you can get in less than a week. For an administration that’s ostensibly about empowering the middle class with better-paying jobs, promoting the renewable energy sector seems like it would be a no-brainer. But Trump’s team has reportedly floated the idea of scrapping the Office of Energy Efficiency and Renewable Energy within the Department of Energy. Compared to more traditional energy jobs in industries like coal, the employment “return on investment” for renewables is far higher. For every $1 million invested in energy efficiency, approximately eight jobs are created — compared to roughly three jobs in fossil fuels, the report found. So what’s going on? As always, idealogy trumps pragmatism. Democrats like solar and wind, so Republicans fight it. Democrats like science, so Republicans want to deny it. And the Big Oil overlords – who, in case you hadn’t noticed, now include our Secretary of State and the head of the EPA – want to kill all competition and keep “drill baby drill” till the end of time. Incentives designed to make rooftop solar feasible for a wider range of consumers are under attack nationwide, threatening new solar development as well as the consumers that already have rooftop panels. The staunchest opponents? Utilities which say, despite a growing body of research to the contrary, that rooftop solar hurts other ratepayers and their bottom lines. In particular, utilities have railed against net metering policies that require them to provide credits to customers that produce energy from their own solar arrays. Those programs, and other key incentives supporting rooftop solar, are at the center of fierce debates in several states — notably in Arizona, on former US Rep. Barry Goldwater Jr.’s home turf. Arizona’s fraught energy policy landscape sprouted the advocacy group Tell Utilities Solar won’t be Killed, or TUSK, in 2013. The group is led by Goldwater and now active in more than a dozen states facing similar discord. Goldwater spoke with ILSR’s Director of Energy Democracy, John Farrell, in May 2016 about solar energy as a source of freedom and the threat from incumbent monopoly utilities. In Arizona, a simmering debate pits solar advocates firmly against major utilities insisting that net metering unfairly transfers energy costs to non-solar customers. But several studies recently reviewed by the Brookings Institution show distinct financial benefits for both solar and traditional power customers. In our interview, Goldwater likened the utilities’ argument to shrugging off other home upgrades that promote energy efficiency, like low-flow toilets and certain appliances. Consumers that integrate those features into their homes would pay less for water and power than consumers who didn’t. But that’s not unreasonable, he said. Plus, Goldwater said, more expansive solar power makes the energy industry more competitive — clearing the way for price reductions and increased quality. Beyond that, residential solar shores up the existing grid by lightening demand and boosting production. Despite energy-friendly policymaking in some states, like New York, utilities elsewhere continue to firm up opposition. Mediated net metering talks between Arizona Public Service Co., one of the state’s largest utilities, and solar industry titan SolarCity broke down after just one meeting, the Arizona Republic reported last month. Arizona’s contentious fight has hampered new solar development and put new projects on ice, unwinding the state’s status as a solar leader. Another of its major utilities, Salt River Project, last year leveled a roughly $50 monthly surcharge against solar users that cuts the upside of installing panels. “As a result, there has not been one new rooftop or solar system sold or applied in that SRP territory,” Goldwater said. Tensions over solar in Arizona underscore friction across the US energy industry. A similar dispute tipped toward utilities in Nevada late last year, when the state’s Public Utilities Commission agreed to shrink net metering payments — for new solar customers and, most controversially, existing ones. The hardline move ran against a 2014 study commissioned by the regulator itself that projected solar systems installed through 2016 would deliver a $166 million benefit to all ratepayers over the systems’ lifetimes. It also pushed out Nevada’s top solar providers, which lambasted the retroactive changes. Solar City, Sunrun, and Vivint Solar each announced plans to exit the Nevada market soon after the action, halting what had been meteoric growth for the state’s solar industry. Coupled with the regulatory ruling, the lack of providers reins in Nevada consumers’ ability to tap into solar. “It just seems to me that the fight is going to continue on until the people stand up and say we want choice, we want the opportunity to make a decision,” Goldwater said. Still, the net metering debate doesn’t always sting renewables advocates. New York regulators, for example, debuted policy changes in April that favor a transition to a long-term distributed energy model — leaving plenty of room for rooftop solar and reserving a place for consumers in the state’s long-range energy plan. In Vermont, investor-owned Green Mountain Energy became the first utility in 2014 to earn B Corp certification, affirming its commitment to a new energy economy that prioritizes renewables and veers away from traditional power sources. The utility has supported recent efforts to increase the amount of solar production under the state’s net metering rule. Still, cooperation from utilities largely remains the exception even as solar power becomes more accessible and consumers increasingly favor policies that favor renewables. Other models around the globe showcase new energy frameworks and offer lessons for US rulemakers. In Germany, for example, a feed-in tariff meant to incentivize small-scale renewable projects spotlight a successful twist on traditional energy policy. Varied methods for gauging the true value of solar complicate the dialogue about how to best implement net metering — and exactly how those programs affect, or don’t affect, traditional utilities. Several states have developed frameworks for assessing their solar’s value per kilowatt hour, then compared that figure with retail rates. That way, they can gauge costs and identify upside for their local communities. But variable markets and shifting industry dynamics mean there is no single playbook for tallying expenses and benefits. In addition, solar power generation carries social and environmental upside that often goes overlooked — or at least unquantified. On top of that, utilities have a longstanding tradition of shaping the energy markets to benefit themselves. This is the 37th edition of Local Energy Rules, an ILSR podcast with Director of Democratic Energy John Farrell that shares powerful stories of successful local renewable energy and exposes the policy and practical barriers to its expansion. Other than his immediate family, the audience is primarily researchers, grassroots organizers, and grasstops policy wonks who want vivid examples of how local renewable energy can power local economies. Local Energy Rules is published intermittently on ilsr.org, but you can Click to subscribe to the podcast: iTunes or RSS/XML. Solar power is making huge gains in places that are naturally conducive to drawing energy from the sun, like California, Texas, and Arizona. A state like Indiana doesn’t seem like the kind of place where solar power would be making major inroads, but for the second year in a row the Hoosier State has exceeded 50 MW of installed solar capacity, according to the Solar Energy Industries Association (SEIA). Indiana added 59 MW of solar electric capacity in 2014, more than doubling its installed capacity to 112 MW, which is enough juice to power about 12,000 residential homes. Yet it isn’t private residences that are driving solar installations, but rather utility-scale projects driven largely by the commercial market. The largest example is a 17.5 MW array at Indianapolis International Airport, which is set to almost double in capacity once the second phase of the project comes online. The world famous Indianapolis Motor Speedway also installed a 9 MW solar farm, which ranks as the largest solar array at a professional sports venue (though its not the only race track-based solar farm, it should be pointed out). The state is indeed primed for an explosion of solar installations, especially in the nascent residential market, which represented just 1 MW of Indiana’s newly installed solar capacity in 2014. WIth solar prices dropping by some 8% over the year before, numerous companies are ramping up their efforts to recruit homeowners into the solar energy army. Considering all the negative news coming out of Indiana over the past month, seeing something good about the Hoosier State is a refreshing change of pace. One of the most-watched battles between solar power proponents and of conventional utilities played out in Arizona, where Arizona Public Service (APS) attempted to add a $50 monthly fee to customers with solar panels. Solar advocates won out, reducing the fee to just $5 a month and getting APS to promise to hold off on the issue until the next formal utility rate hearing. Unfortunately, holding a utility to its word is easier said than done, and APS has gone to the Arizona Corporate Commission, asking to hike the solar panel surcharge from $5 a month to $21 a month. APS claims that without these fees, the utility faces a projected loss of over $40 million in the next fiscal year. The utility claims the fee is a fair assessment of what solar customers share in maintaining the power grid, but solar panel owners and installers and understandably outraged, as such a heavy fee would drastically reduce, or even eliminate any potential energy savings offered by going solar. After settling for the $5 fee after a lot of political wrangling, APS repeatedly promised to not address the solar surcharge until the next formal rate change meeting. Elsewhere in Arizona, another utility called the Salt River Project (SRP) won approval for its own $50 solar surcharge, which seems to have emboldened APS. APS just couldn’t wait any longer, despite allegations of corruption directly relating to the solar surcharge issue. Political action group Tell Utilities Solar won’t be Killed (TUSK) isn’t taking the news laying down though. Utilities are going on the offensive against solar, but solar advocates are hitting back just as hard, and this pitched battle is far from over. Gee, maybe if utilities like APS and SRP just installed more solar capacity themselves, instead of punishing their customers for doing so, maybe they wouldn’t be tens of millions of dollars in the red? Black Hills Power was considering a special demand rate for all renewable energy customers instead of a reward for installing solar panels that help with grid security, grid reliability, energy independence, the environment, and public health. The idea for the charges didn’t make customers happy, however. As such, the solar charge was withdrawn by the South Dakota-based utility. Black Hills Power, a subsidiary of Black Hills Corporations, has approximately 70,000 customers throughout western South Dakota and into Wyoming and southeast Montana. The solar charge isn’t dead, but the utility is opening up the issue for dialogue now. Lynn Hammond, with her husband Steve Hammond, installed four solar panels at a cost of $42,000 to help the environment and lower their electric bills. They explained that Black Hills Power would require a demand rate for everyone who generated their own power. Jim Keck with Black Hills Power said the company is concerned about covering their costs. “We don’t want to penalize our entire residential customer base to help pay for the fixed costs of these renewable systems,” said Keck. However, the issue is that solar also provides numerous benefits to the grid. As listed above, grid security, grid reliability, peak power, energy independence, and a cleaner output. Rather than try to value everything, which often results in solar being more valuable than the retail rate of electricity that is provided under net metering, the utility just wants to charge for one tiny piece of the pie. One twist is that Black Hills Power recently requested a rate increase between 10% and 13% for all electricity users due to grid damage from weather, as well as to address regulatory costs on coal-fired power plants. So, it seems other matters are at play, and the utility is simply trying to put the bill on solar power producers. Throughout the country discussions of stifling the proliferation of distributed solar power, are ripe. What is to discuss? Change and renewable energy are needed. Solar reduces fossil fuel generation. Solar helps reduce emissions that will cost us all a great amount of money and suffering. Distributed solar is growing nationwide, and utilities should be integrating and adapting, not resisting. They need to accept that they need to expand beyond the simple business model they have used for ages. 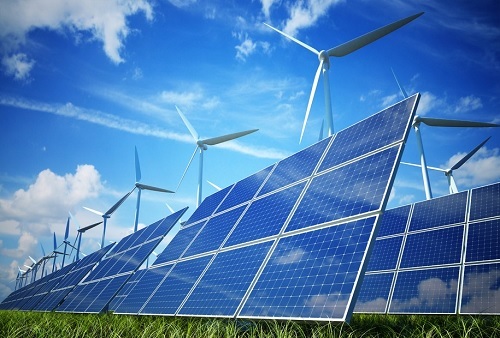 Utilities now need to receive energy from renewable sources as well. Business has been good for a Scandinavian-Germana solar module manufacturer, Innotech Solar (ITS). It’s been so good that the company is planning to do something almost no other solar module manufacturers are doing right now — step up module production. It’s looking to increase its production capacity from 60 MW to 100 MW in the near future, with a possibility of reaching 170 MW of module production capacity if market conditions continue to grow. One of the leading drivers for this increase in production, according to Dr Thomas Hillig, vice president of module sales and marketing at ITS, is the uncertainty surrounding the possible duties that will likely be imposed on China’s modules. The solar sector is still undergoing a process of consolidation. Many solar manufacturers are selling their photovoltaic modules below production costs, are fitting cheap components in response to price pressure and to avoid disappearing from the market completely. We, on the other hand, are able to survive successfully in the market thanks to our innovative production process. There is also an increase in demand for our European modules, because wholesalers and project planners don’t want to risk having to pay punitive duties on Chinese modules. The insolvency of many solar companies in the last few months justifies the need for anti-dumping duties. However, they could come too late for some players.